Knight on right is an in progress replacement. Before a Madonna and child that had severe damage to the scarf and child's hand. 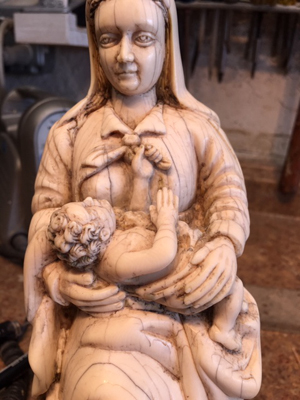 After the repair to a Madonna and child. 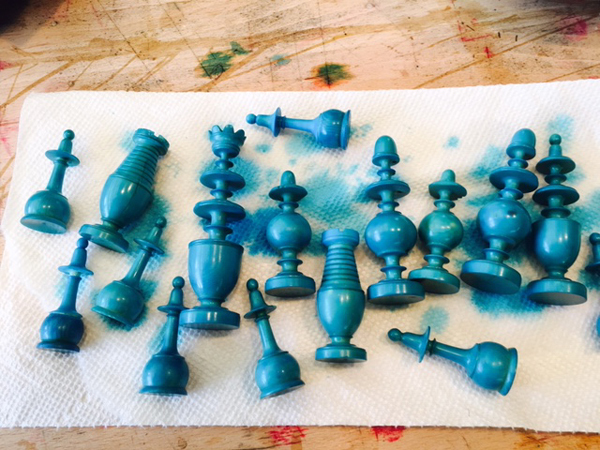 An ivory set being dyed blue. Two wood bishops. One having been lightly cleaned and one before cleaning. Japanese carving with losses and damage. In progress Black duplicate ebony knight.